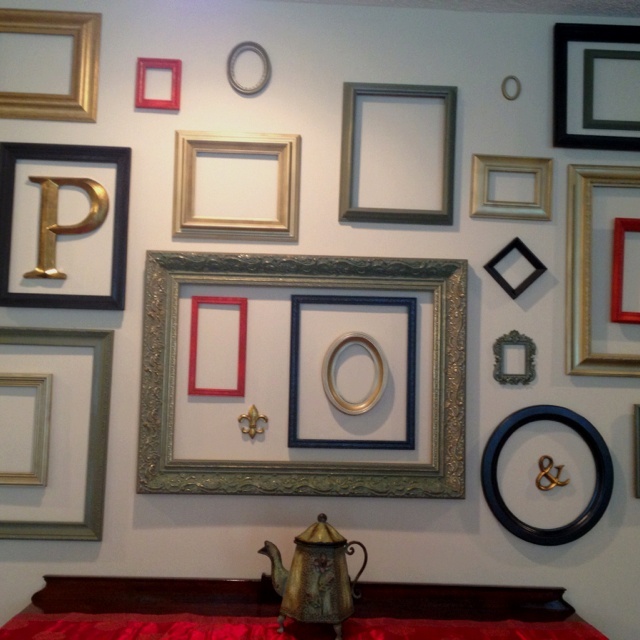 Looking for home decor ideas to decorate a wall? Want to avoid the boring painting hang up? The answer is probably staring right at you, on your picture stand. 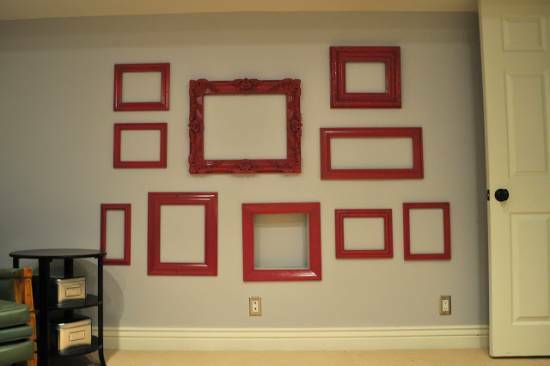 Just empty out the photos and voilà, you have “Empty Frames”! 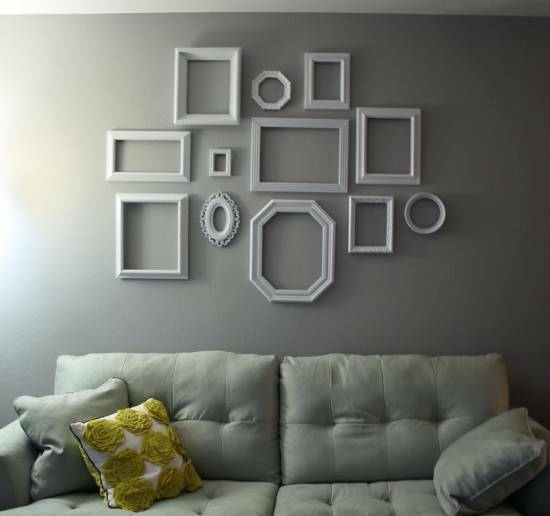 Yes, empty frames are the new wall art in the home décor circle. 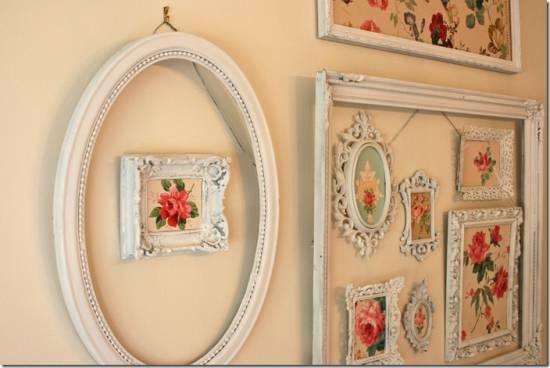 Be it your living room, dining room, bedroom or even your bathroom, empty frames livens up your walls in no time. Some carefully selected empty frame against a beautiful wall is sure to leave your guests spell-bound. All you need to do is use your imagination to form different patterns, pick the right color and shape, and finally, make sure they reflect your style. Empty frames need not be plain and boring, it can be colorful – all of one color, contrast colors, mish-mash of colors etc. Also the material of the frame needs to be given careful consideration. Again, it will be a good idea to get something that merges with the style of the particular living space. Be experimental and try different textures. 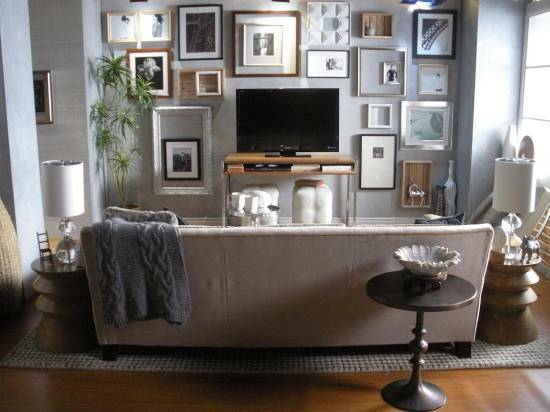 Wooden frames are not the only answer to all walls for home décor. If you have metal furniture, you can get some metal frames lined up as well. Better still, with many DIY websites having tonnes of information on everything; you can even try making your own frames. 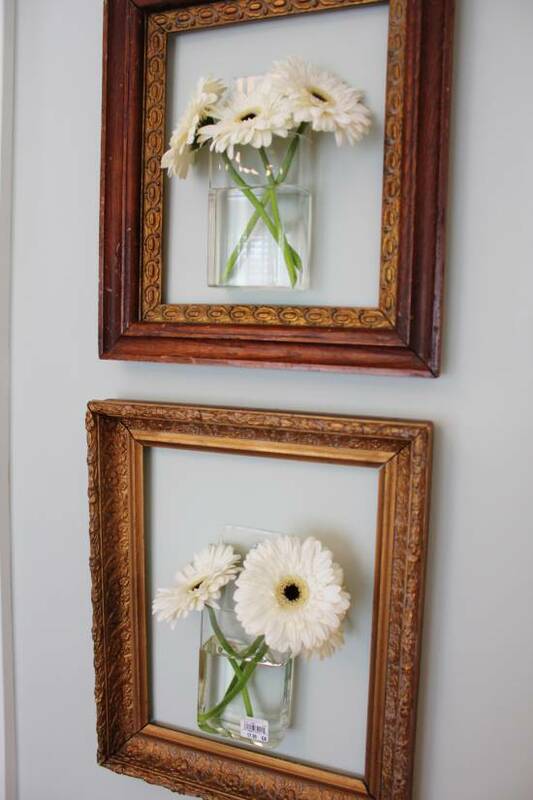 Self made empty frames, make for fabulous home décor ideas. 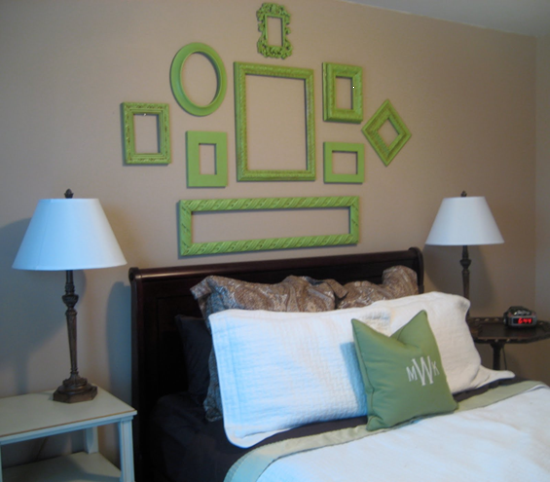 Your frame art can be displayed anywhere in your house. 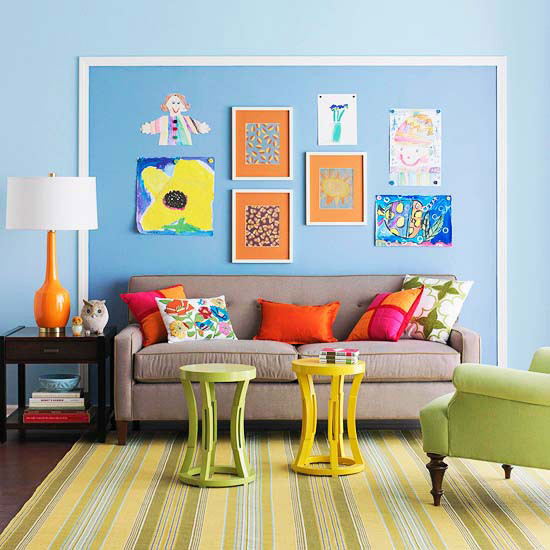 Make sure you pick a wall that has impeccable paint. If the paint on the wall is chipped, you will unnecessarily draw attention to the flaws of the wall. 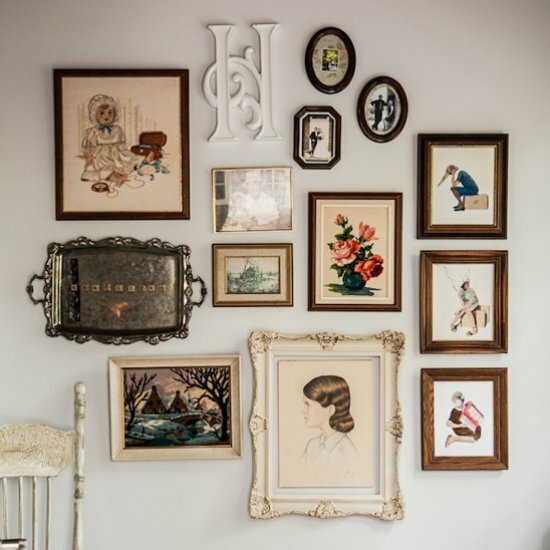 The frames will be highlighting and bringing out the true elegance of your wall, so make sure you choose the right wall and the right frames. Also depending on style, the look can be modern, antique, Victorian, Bohemian, Contemporary or modern. 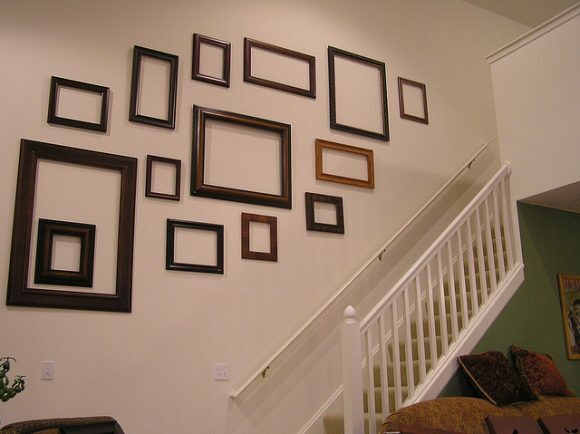 Here are some design ideas of empty frames on walls of the stair-case, bedrooms, dining rooms and other living spaces. Empty frames need not be empty after all! 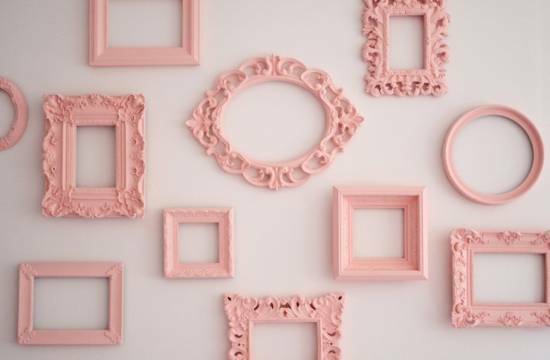 The frames can act as borders to some nice pieces of porcelain plates on the wall as a home décor idea some cute stuffed toys or even to some handy organizing stacks. Sometimes it can also be used as a border for small picture frames. The results are always amazing. 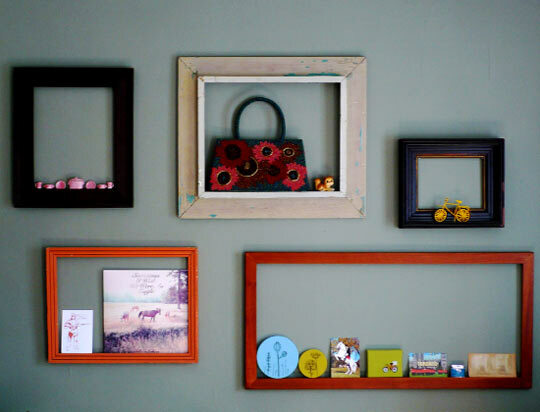 Here are some pictures of frames that are filled-up to add an extra oomph. The idea of empty frames on the wall is a classic one that is in trend all the time for home décor, and it suits all the décor styles. 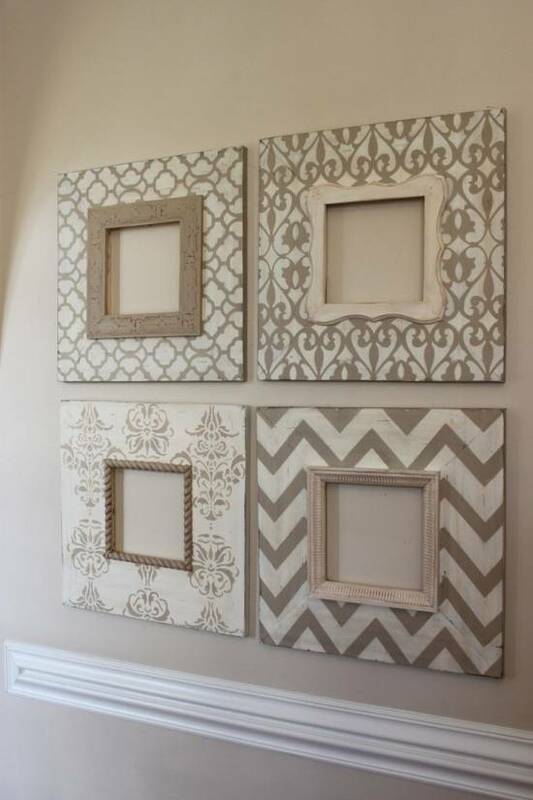 Empty picture frames do not cost much and they are available everywhere. If you are just looking at a quick-fix solution for a barren wall that does not cost a bomb, just rush to your nearest shop and pick up some colorful frames. Low on your wallet and fabulous on your wall, it’s a win-win solution all the way. Plus its easy maintenance makes it a very tempting buy. And you can keep re-inventing this idea every season as there are endless possibilities with this décor style.